Joseph Ward Simmons, better known by his stage name Rev Run, is an American musician, rapper and actor. Simmons is one of the founding members of the popular hip hop group Run-D.M.C. He is a practicing minister, known as Reverend Run. Simmons is one of the founders of the MTV reality show ‘Run’s House’. As of 2019, Rev Run’s net worth is roughly $70 million dollars. Joseph Ward Simmons, AKA Rev Run, was born in Queens, New York on the 14th of November, 1964. Simmons is the younger brother of Russell Simmons and Danny Simmons. Russell is the founder of Def Jam Recordings. Simmons began his music career in 1978 when he was a deejay for Kurtis Blow, and after that, he began using the nickname DJ Run. In 1983, the hip-hop group Run-D.M.C signed up with Profile Records. The group hit modest pay dirt with its first single ‘It’s Like That/Sucker MCs’. The song peaked at No. 14 on the R&B charts and helped the group to release their first debut album in 1984. Their 1985 album, ‘King of Rock’, continued Run-D.M.C’s momentum. However, the group’s big breakthrough came the same year, when they did a rap version of Aerosmith’s smash hit ‘Walk This Way’. The song was a hit and is still today considered to be one of the most well-known rap songs. The track was a whole new kind of force to hit the airwaves, blending Run-D.M.C’s hard-edged rap style with Steven Tyler’s powerful rock vocals and Joe Perry’s driving guitar riffs. The hip-hop group became a household name. In the late 1980s, Run-D:M:C: broke up temporarily but reconfigured in 1993 to release a new album, Down with the King, before taking another hiatus. In 2000, the group got back together to release Crown Royal which followed up with a tour. However, in 2002, a tragedy befell the group when Jam Master Jay was shot and killed in his studio in Queens, New York. In 2009, Run-D.M.C was inducted into the Rock and Roll Hall of Fame, just the second rap group to earn the honor. As of 2019, Rev Run’s net worth is estimated to be $70 million dollars. How do you recover from an extraordinary loss? Take stock of the loved ones around you. Hug them, love them, and cherish them. When you appreciate the joys in your life, it makes sorrow that much easier to swallow. Every day is a new day. Hope floats, so let it rise. God is love. The good thing about love is that nobody can stop you from loving them, you always make your own decisions. Don’t be so concerned about the size of your next step. The direction is what matters! The direction will guide your way into success. Rev Run is one of the most respected rappers from hip-hop’s golden age who broke out on his own in the mid-2000’s. There’s no doubt that he forever will remain as a popular hip-hop icon. The hip-hop group Run-D.M.C. is considered to be one of the greatest hip-hop group in the history. As of 2019, Rev Run’s net worth is approximately $70 million dollars, making him one of the wealthiest rapper in the world. 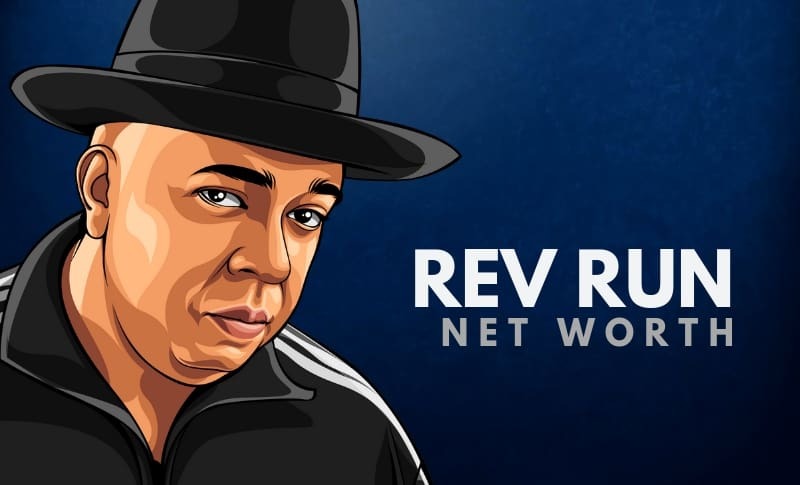 What do you think about Rev Run’s net worth? Leave a comment below.